Each person is born with a spiritual and biological faith that is personal, intimate, and optimistic. Real faith springs from innate awareness of our connectedness with all living beings, with nature and with All That Is. It requires only that we retrieve that child part in each of us that knows the universe is good. Not good and evil, not even good and bad. Just good. It is knowing that every consciousness is uniquely meaningful and charged with purpose. That survival beyond the body is the only possible outcome. That the afterworld is not about judgment and condemnation. That All That Is is so all-encompassing, so unfathomably compassionate, that even forgiveness is dwarfed into insignificance. This faith is what people who have returned from near-death states bring back with them. For the dead, it is the ever-present state of grace in which they dwell. The Last Frontier is the first critical exploration of that vast, uncharted, simply out-of-this-world terrain we enter at death. It draws from consciousness research, physics, parapsychology and quantum biology, from studies in Near Death Experiences and Nearing Death Awareness, from the records of therapists, medical personnel and bereavement counselors, and from accounts of communication with the dead. Its main aim is the release from the fear of death. 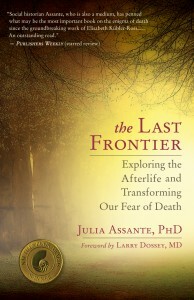 The author also calls for serious further study of the true nature of the afterlife and the normalization of afterdeath communication. For more about the book, click here. Brought to you by ATV 1 Austria. All show have been archived on ATV 1’s website. No matter where you are in the world, you can have a private session with Julia via teleconferencing. She does Life Readings, Afterlife Communication and Body Scanning, sometimes all in one session! If you are interested in regression therapy, she has been very successful doing sessions through Skype. Julia has 40 years experience in this field. She was tested at Columbia University in 1986 along with other professional intuitives for telepathy and remote viewing. Her scores were so high above the others that the researchers created a category for her alone. 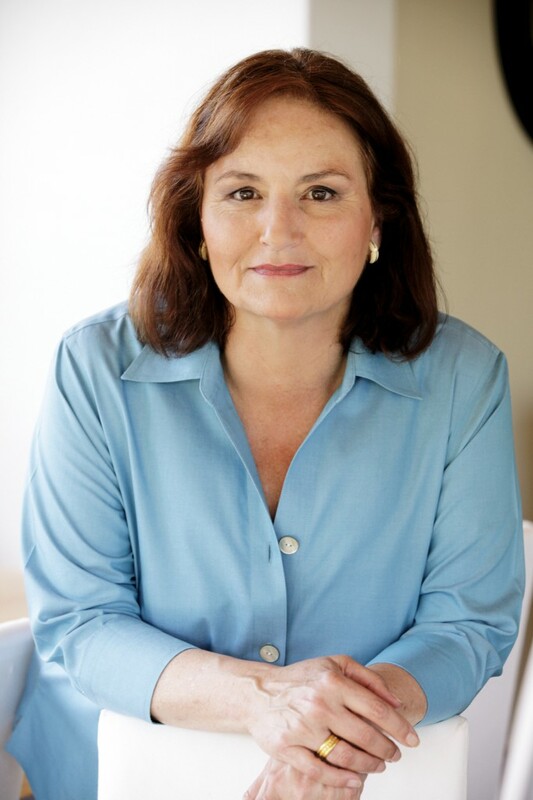 Julia has been a certified Past-Life/Regression therapist since 1984. In order to connect with her to find out the details or to schedule, go to the Contact Menu and write her. She will answer you personally. Everyone is telepathic. And telepathy is all you need to communicate with the departed. Here are a few simple procedures for Intentional After-Death Communication. These procedures are fully in line with the most up-to-date criteria established by researchers in afterlife studies. Write a short list of questions you need answered by the deceased. These questions should be emotionally driven. Prepare a sacred space to work in where you will not be disturbed for about an hour. Set your general intentions for the ultimate good before you attempt contact, calling on the divine, by whatever name you use, to assist you. Set your personal intentions for an encounter, directing them at the person you want to reach. Frequently repeat the deceased’s name. Tell the deceased that you need to see how they are NOW. Form a mental image of the deceased as they are NOW in your mind. Once you have a picture, hold it steadily in your mind’s eye until you feel you have caught that person’s attention. When you feel you have their attention, you have established brainwave synchronicity. Pay attention to your physical experiences, such as body tingling, a sensation of a flood of energy or a rush of emotion. These are signs that contact is deepening. Keeping that person’s attention, begin talking and asking questions directly as though that person were right before you. Remember you are speaking from your strongest emotion and need. Wait for answers. They are likely to come in visual form. Internalize whatever you see, taking mental snapshots of the pictures that appear in your mind, and listening inwardly for any messages. Verbally describe your impressions directly to the departed and ask for confirmation. Again, wait for an answer. THAT’S ALL YOU HAVE TO DO!!! IT WILL COME NATURALLY TO YOU, SO DON’T WORRY ABOUT FORGETTING ANY OF THE STEPS. WRITE ME IF YOU ARE HAVING TROUBLE. AND WRITE ME WHEN YOU SUCCEED!